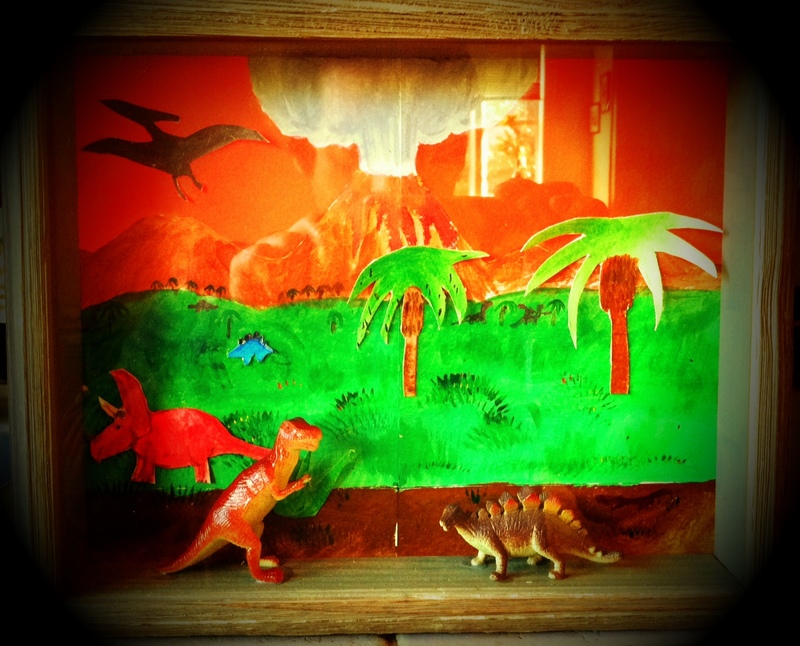 Here is a little Dinosaur shadow box project I did with some 2nd graders I know. Dinosaurs are definitely making a comeback. Not sure about all the new species and names, but the T-rex, Stegosaurus, Triceratops and Pterodactyls are still around.